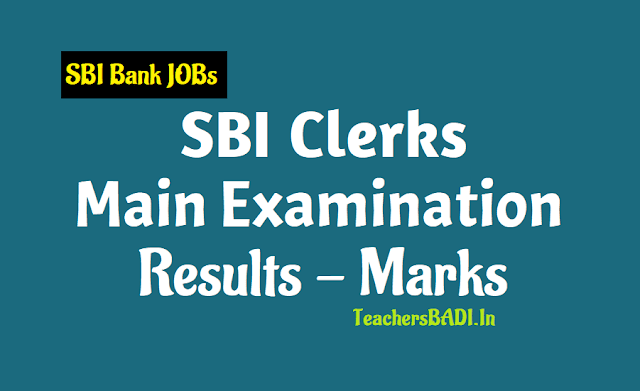 SBI Clerks Main Exam Results with Marks 2019 Released: The State Bank of India (SBI) has released the marks of Clerk Main Exam 2019 on its official website, the link for which is sbi.co.in The SBI Clerk Main exam was held on Sunday, August 5 to fill up 9,633 vacancies of Junior Associate post (customer support and sales) in clerical cadre across India. The result of mains examination was declared on September 21. The State Bank of India (SBI) has released the marks of candidates of SBI clerk main examination 2018. SBI had last month declared the result of the SBI clerk main examination 2018. Here is the direct linkto check SBI clerk main exam 2018 marks of candidates. SBI clerk main exam was held on August 5. The two-hour forty minute SBI clerk main exam was for 200 marks and divided into four sections: General and financial awareness (50 marks), General English (40 marks), quantitative aptitude (50 marks) and reasoning ability and computer aptitude (60 marks). Candidates were asked to answer 190 questions. Candidates were given 35 minutes each for general/financial awareness and general English and 45 minutes each for quantitative aptitude and reasoning ability section. The marks obtained in the prelims (Phase-I) was not considered for the selection and only the aggregate marks obtained in the main exam (Phase-II) was considered in the final merit list. Step 6: Download the same and take print out of it for future use. Candidates will be considered for the final recruitment on the basis of the marks obtained in the main examination. The final merit list will also be declared on the basis of qualifying the test in specified opted local language.